The first single from a-ha's forthcoming album "Minor Earth - Major Sky" was released in the UK on 22nd May 2000, having been released in much of Europe on 27th March. The German made UK release features only 3 tracks - the "radio version" of "Summer Moved On" (4:06), the "Single Version" of "Barely Hanging On" (3:54) plus a "Remix" (by C.L.A.S.S. Production) of "Summer Moved On" (6:02) - "14:02 minutes of new music". The cover features a photo, by Bjørn Opsahl, of a-ha (Paul, Morten and Magne) standing in front of a dark grey / black wall. Morten is the most visible in the picture, pictured to the left of centre at the bottom of the sleeve. Paul and Magne are respectively at the left and right bottom corners of the sleeve with Magne, in particular, being barely visible! The new a-ha logo is printed in silver letters towards the top left hand corner of the sleeve. Underneath, the track details and total CD running length are printed in white text. The reverse of the sleeve is features more of the dark grey / black wall as background image. Small colour shots of Morten, Magne and Paul have been placed in a column down the left hand side. Additional information about the tracks is listed next to the pictures in white text. The first track is described as "Radio Edit" rather than "Radio Version" as it is on the front of the sleeve. The new a-ha logo in white letters is placed in the bottom left hand corner. The disc itself is black with silver text. The new logo is placed at the top of the disc with the title underneath. The track details are listed in the bottom section of the disc, with other prodution details and catalogue number down the right hand side. The regular German release (18:41 edition - see below) was used as a promo in the UK. Some copies have a white WEA Records sticker in the top right hand corner which has the date: 15 May 2000 and contact numbers of three people at the record company. Other such promos have larger rectangular "NoBul Promotions" sticker on the reverse. One has UK contact details, release date plus some additional stats, another has information facts on the band. 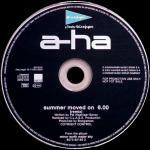 A-HA "Summer Moved On" (Radio Version) (4'07) "Summer Moved On" (Album Version) (4'39) "Barely Hanging On" (3'55) "Summer Moved On" (Remix) (6'02) (P) + (C) WEA Records FOR PROMOTION USE ONLY !. Underneath the text is a blue and white "wea" logo. The spine is plain white except for the word "A-HA" in small black letters. This promo release doesn't have a catalogue number. 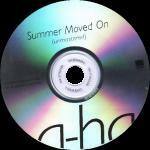 The disc (a CD-R) is plain with A-HA "SUMMER MOVED ON" 4 TRACKS printed in black at the bottom of the disc. There is also a small black wea records logo and a compact disc logo printed respectively on the left and right hand sides of the centre of the disc. As well as the 4-track promo CD-R, there is also a 1-track promo CD-R. It features only the "Radio Version" (4:07) of the single. Again it has a white sleeve with the black text ("A-HA "SUMMER MOVED ON" (RADIO VERSION) 4.07) and the wea-logo underneath. There was also a cassette single released in the UK. 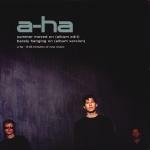 The cover is similar to that of the CD, but the a-ha logo is light grey in colour rather than silver. The picture has been printed in landscape orientation on the sleeve. The spine is black with light grey a-ha logo plus white title and catalogue number plus a blue wea logo, The inside of the cassette inside is again similar to the inside of the CD insert, except that the track details have been printed below the pictures rather than next to them. The a-ha logo has also been omitted. The same three tracks as on the CD have been recorded on both sides of the cassette. The actual cassette is black with white text. "Summer Moved On" was released in Europe much earlier than it was in the UK. It was released to many European radio stations around 21st February 2000 and to the shops on 27th March 2000. In Greece, it was available even earlier, as from 6th March. Belgium / Sweden: In Belgium and Sweden, there was a German made 2-track CD single released. It features only the "album edit" of "Summer Moved On" plus "Barely Hanging On" (8:33 minutes of new music). The CD comes in a card "wallet-style" sleeve. The cover design is similar to the UK release, except for the obvious difference in the track listing. The single also states that it features the "album version" of "Barely Hanging On", but this song has actually been remixed for the album. The reverse of the cover is also similar to the inner sleeve of the UK release. The main difference, apart from the track listing, is that the a-ha logo is in the top left hand corner (instead of bottom left) and is printed in silver rather than white. The disc is also much the same as the UK release, but the catalogue number plus compact disc logo have been printed on the left hand side of the disc rather than on the right with the other production details. Brazil: A unique Brazilian only promo CD includes 4 mixes of Summer Moved On: Radio Version, Album Version, Remix and Remix Edit. The cover is black with a large yellowy orange 'glowing' a-ha logo in the centre. The title in large white letters is printed underneath. Along the top and bottom of the sleeve is a strip of the yellowy orange glowing pattern, darker than that used inside the logo. The disc itself is black with some more of the yellow / orange brown glowing pattern around the edge. Denmark: The "18.48" German release was also used for promotional purposes in Denmark and comes with a large rectangular "Warner Music Denmark" sticker on the reverse. Also on the sticker there is additional information including release date (27-03-00), track information and stats on the band. Germany / Europe: The single features an additional track to the UK release which is the "album version" of "Summer Moved On". The cover of the German made 4-track single is similar to the UK release except for the obvious difference in track listing and running time. Track 2, the "album version" of "Summer Moved On", is listed as an "album edit" on the inside of the sleeve but states that it is the "album version" on the cover. There are at least three slightly different pressings of the German made 4 track single. Two of them claim to have 18:41 minutes of new music, listing the track lengths as 4:06, 4:39, 3:54 and 6:02 respectively, whilst the third claims to have 18:48 minutes of new music with track times of 4:21, 4:36, 3:51 and 6:00. The 18:48 - release also uses a slightly different font on it's spine which is more italic than the 18:41 release. The text on the inside of the sleeve also differs between the releases. The 18:48 release only mentions production by Boogieman, not mentioning the mixing by Boogieman or where the tracks were recorded. One of the 18:41 releases mentions the additional production by a-ha and Kjetil Bjerkestrand, the other does not. The disc is similar to the disc of the UK release, but the tracks are listed just as (radio edit), (album edit), barely hanging on and (remix) rather than giving the full titles. There is another German made CD which comes in a blue card sleeve with a-ha in greyish blue letters (not the regular a-ha font) slipping off the bottom of the sleeve. The text "Confidential personal copy - not for promotional purposes" is printed on the reverse of the sleeve and on the disc. The CD features the unmastered regular album version of "Summer Moved On" (4:39). The reverse of the sleeve is greyish blue with the song title in blue across the middle and "(unmastered)" printed below. The text "WEA Records - Warner Music Germany - A Warner Music Group Company" is printed below with large blue a-ha text slipping off the bottom of the sleeve. The CD is a regular CD-Rom (green backed) with the title printed in black at the top of the disc and a-ha in large black letters slipping off the bottom. The 4-track German acetate promo CD comes in a slim-line case with stiff folded paper insert. 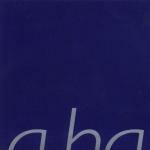 a-ha, the title, catalogue number, "Promotion Use Only Not For Sale", "Broadcast Quality" and the blue wea records logo are printed on the front. The tracks are listed on the back together with copyright information and the Master & Servant logo. The disc itself is completely plain with no text, only the catalogue number is etched around the centre. Israel: The German 4-track "18:48" release was used as a release in Israel and come with a white information sticker on the front. Italy: A 7" Juke Box promo features "Summer Moved On" by a-ha on Side 1 and "Ravel's Pavane Por Une Infante Defunte" by William Orbit on Side 2. It comes in a plain white sleeve with a rainbow coloured sticker in the bottom right hand corner which lists the tracks and advertises the appearance of these artists on the Italian show "Festivalbar". Japan: There was a promo only 5-track Japanese release of "Summer Moved On" which comes in a unique picture sleeve. The cover is white with a colour band picture (Paul, Morten, Magne - all sitting on the floor) on the right hand side. The a-ha logo with "Summer Moved On" below has been printed in black on the left hand side of the sleeve, half way down. The tracks have been printed in white over the bottom section of the picture. The tracks include the Radio and Remix versions of "Summer Moved On", plus "Hunting High And Low", "The Living Daylights" (single version) and "Take On Me". Track 3 is misspelled as "Huting High And Low" on the disc. The reverse of the sleeve is white with a silhouette style picture of the guys (same as the one used on the front of the sleeve) faded in the background. Red and black Japanese text is printed over the picture. The disc is bright green. On the right hand side are details of the tracks, record company etc. in yellow print. There is a yellow oval shape on the left hand side of the disc with a-ha and the title in green. Spain: There exists a limited promo sleeve which was produced for a chain of Spanish record stores, "El Corte Inglés". The CD doesn't come with a cover. It features only one track, the C.L.A.S.S. 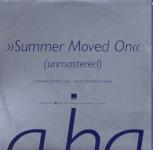 remix version of "Summer Moved On" (6:00) The disc is black with a large silver a-ha logo at the top. The shop's logo, in green, has been printed above the a-ha logo. Other silver text is printed below plus around the circumference of the disc.